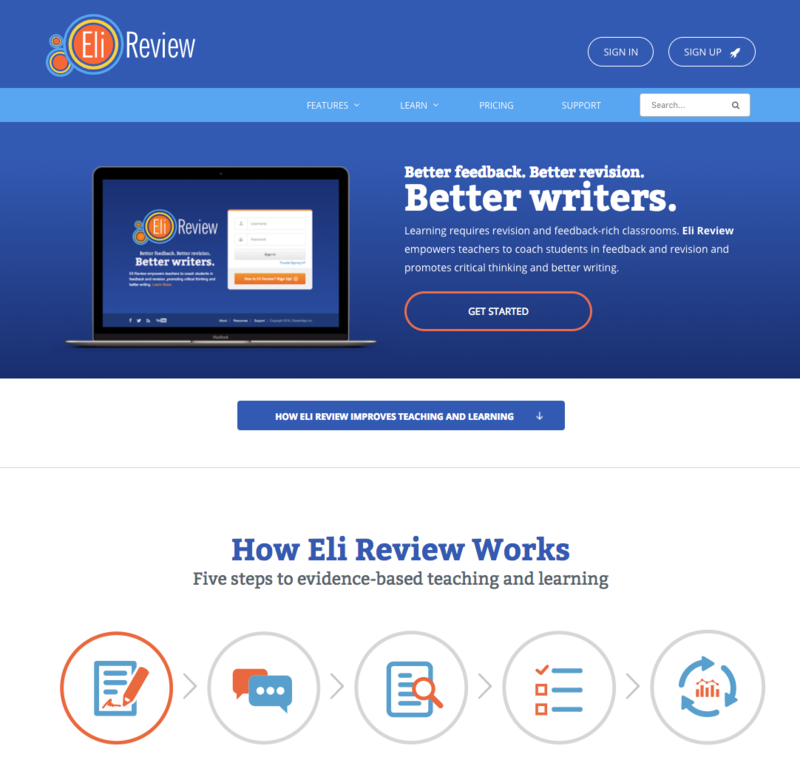 Eli Review is a commercial software package that is built upon the core philosophy that “better writing comes from great revisions; better revisions come from great reviews.” Eli helps make visible the write, review, revise, and resubmit process that is necessary to improve students’ communication skills: both as writers and reviewers. Eli facilitates and scaffolds productive teacher-to-student and student-to-student interactions that are designed to give students valuable, real-time feedback about their strengths and weaknesses as writers and reviewers. Eli also constructs data visualizations based on trends in student writing, allowing teachers to make meaningful in-class interventions and assessments and to identify students who may be in need of one-on-one attention. Although there are many software packages that aim to teach writing, Eli is unique in the way that it focuses on the review and revision process as much (if not more) that the original composition. By doing so, Eli gives teachers data-backed strategies for teaching writing and gives students a holistic approach to the writing process. To learn more about how Eli works and to see if it would be a good fit for your classroom, please visit the Eli Review website.